The Canon 1D Mk4 entered a market that was expecting a lot from it. This is normal for a camera that costs as much as the Mk4 does, but there was a bit more to it than that. The predecessor of the Mk4, the 1Dmk3, had suffered serious damage to its reputation after some copies of the camera had been found to have defective AF systems. 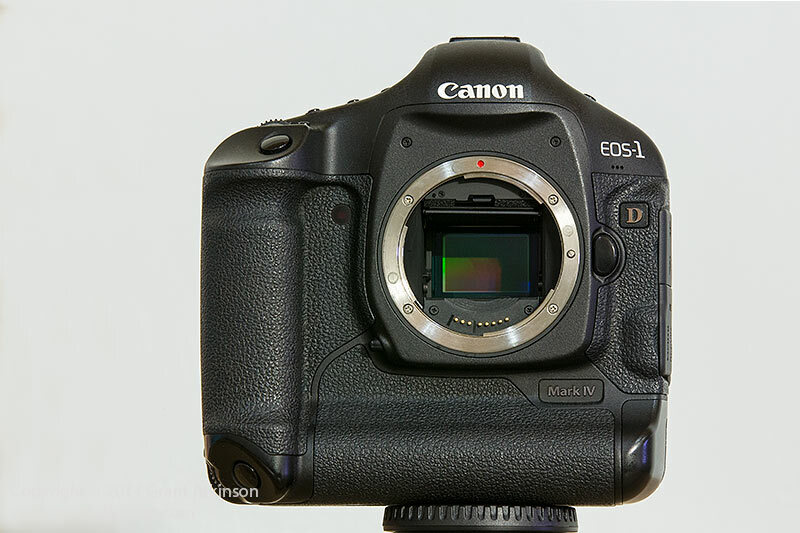 Canon issued firmware fixes and even a hardware fix for the Mk3, but the perception that the Mk3 was not as good as it should have been was already established. Add to this the great success that the Nikon D3 was enjoying, and you can understand why Canon had to go all out to make sure the 1Dmk4 could do what was expected of it. The 1Dmk4 is now past midway through it’s lifespan on the new camera market, and is proving to be a hassle free and ultra-capable piece of equipment. The 1D Mk4 comes with a very powerful feature set. A rugged, weather-sealed body houses Canons best ever autofocus system to date, a pair of Digic 4 processors, a brand-new 16 megapixel sensor, high-speed continuous shooting at ten frames per second, as well as HD video capabilities and lots more. Although the Mk4 looks almost identical to the Mk3, almost everything inside the camera body that matters has been replaced or improved. The AF sensor is all new, with 45 AF points of which 39 are cross-type with an f/2.8 lens. The AF can be fine-tuned for your shooting style or particular conditions. The two Digic 4 processors handle the huge amounts of data that the camera generates in short time, with one processor dedicated to AF control, and the other looking after the rest of the processes. The Mk4 has perhaps the best low-light performance of any Canon dslr to date. It is also capable of recording High-Definition video, and can shoot in Live View. There is a new LCD screen with a resolution of 920 000 pixels. The new screen adjusts its brightness according to the ambient lighting conditions. The camera offers a very wide variety of possibilities when it comes to setting up how it functions. This broadens its appeal to different users. The 1Dmk4 has a very tough, well thought-out body. It instantly feels comfortable to hold, and the contoured grip makes holding this heavy camera (1335g with battery) much easier than you would expect. In fact, having the space for all your fingers to seat firmly on the grip actually makes it feel like an extension of your hands. There is no mode dial and instead, a button activates the mode menu. This is a big plus for me, as I frequently bump the mode dial on my 5Dmk2 or 7D accidentally when removing them for use from my camera bag. With the 1Dmk4’s mode button, I never miss shots due to inadvertently knocking the mode dial into Manual mode. The viewfinder is big and bright, and provides approximately 100% coverage at 0.76x magnification. There is a built-in eyepiece shutter that can be set to block out light from entering the camera though the eyepiece when one is shooting long exposures at night. A second shutter button and control set are mounted on the bottom of the camera body for vertical shooting. They can be switched off to avoid accidentally triggering the shutter. Most of the camera body and its inner covers are made from magnesium alloy, which is light but very strong. The camera has 76 seals and O-rings wherever moisture might enter the body, and is weather resistant when used with a suitably sealed Canon EF-L lens. You instantly get the idea when you pick up this camera that it is made to last a very long time. Canon have refined the way that the control buttons work on the back of the camera. The changes are very subtle but handling the Mk4 alongside the Mk3 will reveal that the buttons on the Mk4 how have a more positive soft click to their operation. The shutter is rated for 300 000 cycles, which is as tough as shutters get. The LCD screen on the Mk4 has a resolution of 920 000 dots and a wide viewing angle of 160 degrees. Canon has filled the space between the protective cover and the liquid crystal panel itself with an optical resin material that reduces light reflections inside the monitor. The protective cover is no longer made from an acrylic substance but instead is manufactured from reinforced glass. This protective cover is more resistant to scratches and smears. In use the LCD screen fitted to the 1Dmk4 does everything it is supposed to. However, be aware that the thumbnail that appears on the screen after you snap a picture is processed via the default Picture Style settings and will have received a healthy dose of colour, contrast and sharpening during the resize process. This can be a little misleading for users new to the camera as it is quite likely that the corresponding raw image, when viewed on a big screen may appear a little flat in comparison. 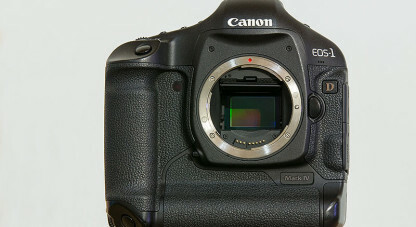 The Mk4 is similar to the 7D in this regard. The Picture Style processing enhancements are only applied to the in-camera jpg image if you are shooting in RAW and those settings do not have any impact on raw images processed with software other than that supplied by Canon. Some users including myself go into the Picture Style menu and reduce contrast and saturation a little in order to have the image in the LCD display match the raw image more closely. The histogram provides the most accurate information and it is a good idea to shoot with the histogram display switched on. The brightness of the screen can be set. While the camera is ready to shoot, you can press the INFO button to display the camera settings on the LCD monitor. There is also a second screen below the main LCD, which shows information about cards, white balance and quality settings. The camera can be used in Live View mode quite easily, just by pushing the Set button. The Mk4 has two card slots underneath its locking card door, one for a CF card, and one for an SD card. In order to take advantage of the fast processors ability to churn through the large quantities of data that this camera generates, it is best to get fast storage cards. The camera is rated to be able to punch data to the cards at 133 Mb/s, and the latest firmware download improves transmission speeds when using UDMA 7 cards. Get fast cards, at the minimum 45Mb/s but preferably faster. It can be set to shoot to both cards at once, or switch from one to another upon filling up. There are other options as well, like saving raw images to one card and jpg to the other. The menus on the Mk4 run deep, and there are many options for setting up the camera to suit different user styles. These include creating your own menus, with your most frequently used menu options prioritized. It is also possible to save groups of settings that you use often as named presets, for easy and quick recall whilst shooting. For the purposes of field testing and for all my wildlife photography, I shoot the camera set to RAW quality only. As a wildlife photographer, I am looking for great image quality, high-performance autofocus, and ease of use in a camera. The 1DMk4 meets these requirements better than any other camera I have used. The 1Dmk4 is a very rapid-reacting camera, with almost zero shutter lag, and very little mirror viewfinder blackout. Bursts shot at 10 fps are incredibly fast. The responsiveness can be quantified by examining some numbers relating to speed. The camera has a shutter lag period of 0.40-0.55ms. Compare that to the 5Dmk2 at 0.73ms, and the 7D, at 0.59ms. Viewfinder blackout, which is what happens when the mirror swings up out of the way in between each shot being taken, is just 80ms, which makes it the fastest Canon dslr in this regard, matching the 1Dmk3. The buffer is rated at 26 images with the ISO set to 400, however in use I never once managed to fill it. When loaded with a really fast card, the camera can actually exceed the rated buffer limit. In this area it shows a major improvement over the 1DMk3, which could take pictures just as quickly, but could also easily overrun its buffer. It will still pay to keep an eye on the buffer readout in the viewfinder though, particularly when the shooting is fast and furious. The twin Digic 4 processors handle the 16mp files that the 1Dmk4 churns out at 10 frames per second rapidly. A single image file from the 1Dmk4 will be anything between 20 and 26mb in size, so large capacity, fast cards are a must if you want to take full advantage of this cameras speed potential. My cameras do most of their work shooting African wildlife in an environment that can be tough for a camera to survive in. Dust is ever present, especially in the dry season. I try very hard to minimize changing lenses in the field to prevent dust getting into the camera body. To this end I will make use of two or sometimes three bodies when in the field. I find the 1Dmk4 to be very good at remaining dust-free in its internal spaces. Not only does it have a self-cleaning sensor but there is a new super-slippery coating on the sensor filter, which works very well. Canon have also taken note of how much dust is generated inside the camera by moving parts, and taken steps to reduce that source of contamination. In ten months of heavy use I have only once had to blow a speck of dust off the sensor. It is possible to end up with the odd dust particle turning up on the focusing screen, and these particles can be seen when looking through the viewfinder. It is easy to gently blow them off using a hand blower, and although they are irritating to look at when seen through the viewfinder, they do not show up on the image. So far I have not had any show up on the Mk4 focusing screen. Battery life is good, and the LP-E4 battery will usually easily provide power for over 1000 raw shots on a single charge. The larger files and higher resolution LCD mean that the Mk4 runs a little heavier on battery power than its predecessor. The battery level shows up in the viewfinder, and the menu provides a remaining charge percentage as well as a shot count per battery readout. The charger that comes with the camera can hold two batteries, and will charge them successively, taking about 90 minutes to get a completely flat battery from empty to full. I made extensive use of the following Canon lenses on the 1Dmk4: EF 16-35 L f/2.8 II, EF 70-200L f/2.8 IS version II, EF 300L f/2.8 IS and EF 800L f/5.6 IS. I always shoot in RAW and process my images using Adobe Camera Raw and Photoshop CS5. If you shoot only jpeg images with the camera then some of what I have written here will not be relevant to you. I turn off Long Exposure Noise Reduction (Custom Function II: 1: set to 0), disable the in-camera High ISO speed noise reduction (C.FnII:2 set to 3). I also disable the Auto lighting optimizer (C.FnII:4 set to 3) and Highlight tone priority (C.FnII:3 set to 0). My reasoning is that since I am shooting in RAW most of the time, I prefer to do those processing steps myself afterwards, with more care and my own personal judgement, rather than have the camera applying the actions globally. Even if I am shooting in RAW only, by turning off those actions it means they are no longer applied in-camera to the jpeg thumbnail that the camera creates for the rear LCD display, thus freeing up the processors from carrying out unnecessary work. The Mk4 comes with an APS-H sensor of 27.9mm x 18.6mm in diameter. The sensor is larger than that fitted to the 7D and 60D, and smaller than the full-frame sensor found in the 5Dmk2. This sensor gives a field of view crop of 1.3x. This magnifies the focal length of whatever lens you may mount on the Mk4 by a factor of 1.3x which comes in useful for wildlife photography where distance is often crucial. What this means is that a 300mm lens becomes an effective 390mm on the 1DMk4. Another benefit of the sensor being slightly smaller than a full frame sensor is that the edges of the image that the lens projects are not used. This means that one does not have to deal with vignetting which is normally visible on the corners of the image. Of course for landscape photographers, this sensor size means that their wide angle lenses become a bit less wide, not always a desirable change. The 1Dmk4 will not accept Canon’s EF-S lenses, those marked with only a square white mounting-point indicator. The sensor resolution is 16mp, which makes creating quite large prints easy. Sixteen megapixels also allows for a fair bit of cropping, and this is one of the biggest advantages that this camera holds over the older 1D models with their modest resolutions. 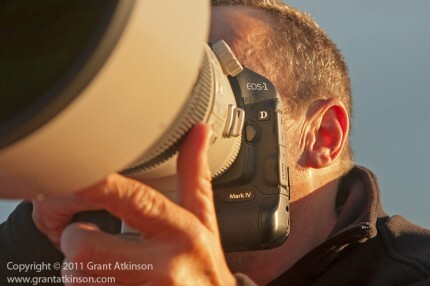 When shooting wildlife, I am often not able to approach too closely for fear of disturbing my subject. The 1Dmk 4 allows me to shoot from further away and still get enough pixels on the subject. Again, when there is the possibility of action happening, it is sometimes easier to pull back a little on focal length, to allow oneself a bit of space in order not to cut off important parts. The resolution of the 1Dmk 4 gives me the ability to shoot in this way. Image quality is very good, and in terms of sharpness it virtually matches the 5Dmk2, which is the benchmark Canon camera in this regard. On a laptop screen I find it quite difficult to really tell the difference between images from this camera and the 5Dmk2. Fine details are rendered superbly well, and even though it is at a slight resolution disadvantage when compared to the 60D and 7D, I find the images from the Mk4 to be sharper and with better detail. Dynamic and tonal range is also extended with this sensor, and it retains highlights and captures shadow detail as good or better than any Canon camera before it, and the difference becomes more even more pronounced at higher iso settings. Noise is insignificant up until iso 400, at which setting the camera appears to me to be ever so slightly noisier on a pixel for pixel level than the 1Dmk3 or the 5Dmk2. That said, the noise level at iso 400 is very low. A little more noise becomes visible at iso 800, but not enough to need any noise reduction in processing. I won’t hesitate to make use of iso 800 if I need the faster shutter speeds it enables. Only at iso 1600 does more noise become visible, and even then it may not be enough to warrant me using noise reduction in post processing. From iso 800 upwards, it feels to me that the Mk4 images are cleaner than the 1Dmk3, and an even match or even slightly better than the 5Dmk2. It is quite possible to shoot at iso3200 in poor light, and obtain images that are good enough for print at smaller sizes, with some work in post-processing. The Mk4 can shoot at much higher ISO settings, up to 102400, but for my purposes ISO 3200 is about where I stop shooting. How one feels about digital noise is subjective though, and what is acceptable to me may not be acceptable to another user and vice versa. Canon are playing a balancing act with the resolution and image quality of their cameras. What this means is that whilst the Mk4 offers only a slight image quality improvement at higher ISO settings over the 1Dmk3 that it replaces, in terms of noise when comparing the cameras pixel to pixel, it manages to do this whilst providing a much higher-resolution image file. That extra resolution brings with it many advantages, amongst them the ability to print bigger, to crop a subject closer, or to get more detail out of an image. Inevitably, this camera is compared to the Nikon D3S, which is the competing brands top-end sport and wildlife camera body. Nikon have chosen not to increase resolution on their D3S camera body for several years now. Instead they have improved the image quality especially at high iso settings. It has a 12 megapixel full-frame sensor. The pixels are over 8 microns in size. The D3S will create images lower in noise than the Canon 1Dmk4, especially at higher iso settings, but to match the reach provided by the Canon’s finer pixel-pitch, higher resolution sensor (and end up with the subject the same size in the frame), one would either need to be much closer to the subject with the D3S or would need to use bigger, longer lenses to make up the difference. Adding a tele-converter to the Nikon would mean that it would gain reach but at a cost to image quality, autofocus speed, and light gathering. If you can get close enough to the subject, by proximity or by using big enough lenses, then the D3S wins out in low-light situations. However, if you need extra reach, or extra resolution for printing, then the 1Dmk4 might be the better option. In this regard, the 1Dmk4 sits somewhere between the 7D and its extremely small pixel pitch of 4.3 microns, and the 5Dmk2, with pixels of 6.3 microns in size. For me, the advantage conferred by the 1.3 crop, 16 megapixel file which still allows me to crop closer if need be, combined with good image quality over a wide range of iso settings are enough to make the Mk4 the best tool out there for my use as a wildlife photographer. The 1Dmk4 comes with Canons most sophisticated and powerful autofocus system. The camera has 45 focus points, arranged in the shape of a rounded-edge rectangular grid that covers a large part of the frame, making it easy to place a focus point exactly where you need it. The AF points cover a much bigger percentage of the frame than Canon’s other non-1D cameras. Getting to understand how these points operate is quite complex. Of the 45 points, all 45 are selectable by the user. When used with an f/2.8 or faster lens, and Manual AF point selection, 39 of the AF points will act as cross-type points. The remaining six AF points will act as horizontal –line sensitive only. Cross-type points offer superior focus performance when compared to horizontal-only or vertical-only type AF points. When AF point selection is Automatic, the number of AF points acting as cross-type will decrease to 19. The remaining 26 will act as horizontal –line sensitive only. When used with an f/4.0 lens only the centre point will act as a cross-type high-precision type. The remaining 44 points will function as horizontal-line sensitive only. There are five lenses/combinations that are exceptions to this rule though and they are listed below. With these lens or lens/extender combinations, 39 AF points will act as cross-type points, and the 6 remaining points will act as horizontal-line sensitive only. When used with an f/5.6 lens all the AF points will act as horizontal-line sensitive only. When used with a lens/extender combination with an aperture of f/8.0, only the centre AF point will work as a horizontal-line sensitive point. The remaining 44 AF points will not function for autofocus. Aside from this new AF sensor with its high count of f/2.8 sensitive AF points (39 compared to 19 on the 1Dmk3), the actual working of the AF points has been improved. Some of the f/5.6 points have two detection lines now, and the f/2.8 points have also been improved. There is also a new Ai Servo tracking algorithm that is designed to make the AF more accurate and more stable, thus less likely to let go of a subject too quickly. This is called Ai Servo II. 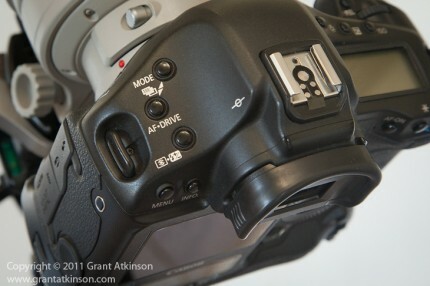 The new AF sensor has a specified brightness working range that extends beyond that of any other Canon non-1D bodies. When discussing how the AF works, I will be referring to it’s use for fast-moving subjects, which is what this camera is built for. For focusing static subjects, the camera locks on almost instantly, whether in One Shot mode or Ai Servo mode. The real test of this complex autofocus system can only come about when it is faced with subjects that are moving rapidly. I will attempt to describe setting up the 1Dmk4 for photographing moving subjects (and still ones) in the text that follows, and in the process explain some of the different choices that are available and their effect. First up, with the camera switched On and in any one of the non-automatic modes, select Ai Servo for your focus mode after pressing the button on the top marked AF. Ai Servo is the moving subject mode, as opposed to One Shot, which is for still subjects. The discussion that follows is based upon the assumption that the camera is in Ai Servo focus mode. Then, to take advantage of the camera’s fast frame rate, set the Drive mode to High. You know you have the high speed drive selected when the symbol with multiple frames stacked above one another also has a capital letter H alongside of it. This function sets how many frames per second the Continuous High setting is. Anything from 2 to 10 is available. I choose 10 for Continuous High and 4 frames per second for Continuous Low. The next step is to decide how best to group or utilize the AF points. To choose how AF points are available to selection, and how to group them, you will need to go into the camera menu and select the orange tab shaped like a camera body, and scroll down to the menu named Custom Functions III:Autofocus/Drive. You can choose any one of five options here. I usually choose either Option 0: 45 Points (I use this one when using a fixed lens or when I need pinpoint accuracy with my AF point) or Option 1: 19 Points (when I may need to move around the AF grid quicker with fewer steps between points). After choosing how many AF points you would like to have available, it is time to select whether you will use a single point, or a cluster of points. I usually choose 0:Disable (which leaves me with a single AF point selected by myself) If you choose 1: “Left.right AF point” then the two points on each side of your selected point become active and move when your selected point moves. Useful when photographing a subject moving in a horizontal plane as it makes your AF point ‘wider’. If you choose 2: “Surrounding AF points” then up to 8 points adjacent to and all around your selected AF point will become active and will move freely around the AF grid when you move your point. The last option activates all 45 points. These options are called AF point expansion and basically give you greater AF point coverage. If the selected AF point loses focus on the subject, one or more of the adjacent points may then be able to take over focus tracking. This setting is favoured by many action photographers, as it increases the area covered by AF points slightly, but still allows the user control over where the active point is placed. I found it quite effective in challenging AF situations although I still feel that the AF responds fastest with just a single AF point selected. Most of the time I prefer to disable AF point expansion and use a single, manually selected AF point. The only point that actively seeks to perform AF is the selected point. Whilst this mode lessens the size of the active AF area as only one point is active, it increases the speed at which AF can function, as the camera has less work to do when it comes to processing data from AF points that might not be on the target. I use this mode almost all the time, and find it to be the fastest, most accurate and reliable AF mode. It does require care on the part of the user to ensure that the selected AF point is placed exactly on the subject. The 1Dmk4 also has a function called Spot AF. When activated, this reduces the area covered by a single active AF sensor for pinpoint focus accuracy. However, this function is only available when the camera is paired with one of the big Canon fixed lenses that have dedicated AF Stop buttons that can be switched to activate Spot AF. Although Spot AF is a useful feature, I found it rather fiddly to use on the Mk4, and limiting it to the big telephoto lenses only doesn’t make it simple to use. 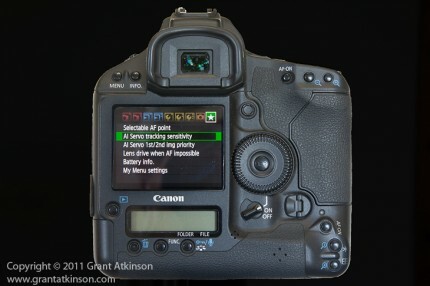 It is much easier to use Spot AF on the Canon 7D. Before going through the different options in the Custom Functions menu, make sure you have set up some of the basic autofocus and drive options to prioritize speed and moving subject focus. There are a number of custom functions that allow the user to fine-tune the camera’s AF system for specific shooting situations. It needs to be stressed though that these custom functions are there to get the most out of the autofocus when used for moving subjects. For stationery subjects they are of much less importance. So if you routinely shoot fast-moving subjects like birds in flight, or running animals, or sport, then it will pay you to spend some time in getting to understand the different options that the camera offers. Unless you are already familiar with the camera’s workings, the section detailing the settings for the Custom Functions is best approached with your camera in your hand. This will make the descriptions of the various menus and options much easier to follow. This will bring up a menu numbered from 1 to 19 on the bottom of the screen. This setting controls how long the camera will ‘wait’ when the selected active AF point falls off the target during AF tracking, before trying to refocus. Instead of the AF suddenly jumping to the background, it can be set to wait for a longer or shorter period before it tries to focus again. It can be particularly useful when shooting moving subjects against a busy background to choose one of the settings on the “Slow” side of the scale. In such instances I will set the AF Sensitivity (C.FnIII:2) to either 0 or the setting in-between 0 and Slow. My choice of setting here is influenced by my subject and how fast it is moving as well as how similar it is in tone and brightness to the background. The more similar the subject is when compared to the background, the more likely it is that I might lose focus when and if I momentarily move the active AF point off of the subject, so choosing a slower setting gives a little more time for me to ‘re-find” the target before the lens goes completely out of focus and jumps to the background. I have also found that when using very long telephoto lenses with smaller maximum apertures, such as the Canon 800mm f/5.6 lens, that I obtained better results by setting AF Sensitivity to Slow. This made the AF response less jumpy if I inadvertently moved the AF point off the target . This AF sensitivity setting does not affect how quickly initial autofocus is achieved for the first frame and AF acquisition, whether set on Slow or Fast. With easier AF situations, like birds flying in a blue sky, I would choose 0. Focusing very fast-moving subjects is generally easier with faster lenses, and when using the Canon 300 f/2.8 lens, I most often keep this Custom Function set to 0. With that lens, I just prefer the response of the AF set to the default 0 or even toward the intermediate setting on the Fast side of the settings. To get the most out of the autofocus system, it will benefit the user to make themselves familiar with these settings by practicing with different settings, and selecting settings to suit specific situations and different lenses. This is another important AF custom setting to take note of. It is Ai Servo 1st/2nd image priority. The camera allows the AF unit a certain, standard amount of time to perform focus calculations. This standard amount of time is usually enough for most focus situations that the camera has to deal with. It is called Release or Drive Speed Priority in the camera menu. This custom function allows the user to select an option which extends the time that the camera allows for autofocus to take place, which may result in more accurate focus results. This option is called AF Priority or Tracking Priority. The 1Dmk4 has four different options when combining how these two different time settings work with one another. This tells the camera to allow an extended period of time for the AF to find focus for the first frame in a burst, as well as the frames that follow. This should in theory improve focus especially in tough autofocus situations where the background and the subject are similar in tone and brightness. Be aware though, that this setting can slow down the frame rate, which might mean that you take fewer shots of an action sequence. Also, because of the extra time allowed between shots, it can sometimes cause a very slight pause as the camera tries to focus, and it can almost feel as if the shutter release button isn’t working for a moment. This tells the the camera to allow extra time for the first shot, then for the shots following it will allow only the standard, shortened time period for AF to take place. It will still try to attain focus between each shot, but for only the standard time period. When this option is selected, the camera will take the first shot as quickly as you can press the shutter, and all those that follow in the burst. The camera will allow only the standard shorter time for autofocus to take place between each shot. In this mode the 1Dmk4 can fire at 10 frames per second. This option will enable rapid bursts and I often use this setting in easier autofocus situations like a large bird in a blue sky or similar. Get familiar with these settings and make use of the setting that works best for you, given different focus situations. With this setting the camera will take the first shot as quickly as you can press the shutter, but will allow the longer period between each frame after that for extra focus time. This allows the user to get the first shot off very quickly, and then allows extra focus time between each frame in the burst after that. In its default mode there are two options for moving the focus point. First, press the top right button on the back of the camera, and then use a combination of the main dial and quick-control dial to select the desired AF point. Alternatively, press the top right button and then move the multi-controller, which provides direct access, not sequential, to any AF point in the grid. I have found that using the multi-controller is the fastest way for me to move around the AF grid, and this is something that I do a lot whilst shooting wildlife. I set up all my Canon dslrs in this way. When the subjects are moving, I find it most valuable in a camera to be able to activate the focus point I want to use as rapidly as I can. I shoot almost exclusively with my camera set up in Ai Servo, and most of the time I use a single AF point, manually selected by myself. This custom function will only affect how AF works if you are using AF expansion. When you are attempting AF tracking with a group of AF points, this C. Fn will affect whether the AF sees new subjects in the frame that are closer than the main subject as new targets to track, or whether it ignores any new subjects as obstacles to AF. If you are using AF expansion, and you select Option 0 for Main Focus Point priority, if a new subject enters the foreground closer than the main focus point, the AF will switch to the new, closer subject. This has perhaps more application in sports than wildlife. If you select Option 1: Continuous Track Priority, then the AF will see any subject that enters the frame in the foreground (like trees, rocks, other animals) as obstructions and will attempt to ignore them. The camera also has an AF Micro Adjustment feature, accessed via Custom Function III:7 which allows users to fine tune up to twenty lenses for the camera body by making careful adjustments to the focusing distance. Once the adjustment is made the camera will remember a specific lens. The autofocus on the 1Dmk4 is the best that I have ever used. It picks up subjects very quickly, and when shooting bursts, I am getting more frames in focus than ever before. It is important though to work at understanding the critical custom functions and to make use of them to maximize the potential of the Mk4’s AF system. I have had the AF lose focus on a few occasions, usually when I was focusing on a uniformly dark subject, but this was easily rectified by repositioning my AF point and refocusing. The EOS 1DMk4 is an excellent camera for wildlife and sports, and depending on your needs, may be the very best. In use it feels as if it is an extension of the shooter and exists just to help make sure you get the shots. With 16 megapixel files, the Mk4 creates tremendously detailed image files of substantial resolution, and it does so effortlessly. 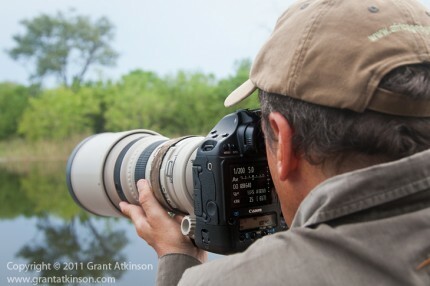 It is most definitely one of the very best camera bodies available for wildlife and sport photography.